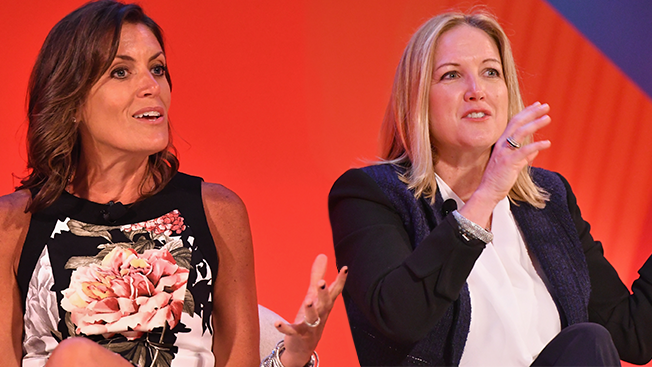 On Monday, the first day of Advertising Week 2016, McDonald's chief marketing officer Deborah Wahl and DDB North America CEO Wendy Clark made it clear that they don't see Omnicom's unnamed, dedicated Chicago unit as an anomaly. "We say 'agency of the future,'" Clark told the crowd at New York's Town Hall, "but I think it's actually the agency of the present." Clark added that this sort of approach is "where we all need to be." The model in question is one in which Omnicom and McDonald's will operate together to an unprecedented degree, with the client's marketing team "embedded" within the agency. The scale of the pitch process was just as significant. "The important thing about the RFP is that it came in at the holding company level," Clark said, adding, "It was not just a couple of pages." She said Omnicom pulled its "best and brightest" from across almost 20 agencies to help win the business and that the disparate team worked on the pitch for 16 weeks. "It was breakneck, but it was good," she said. Neither Wahl nor Clark directly addressed the most controversial aspect of the documents McDonald's sent to the three biggest holding companies, its demand that all agency profits be tied to unspecified performance goals. "[McDonald's is] not only asking for a new agency model but doing it differently internally, too," Wahl said, adding, "Change is hard." She stated that while the agency structure was not necessarily developed with profit in mind, "there is a lot of room for growth [with] profit built in." Wahl also hinted at the reason for such an unusual arrangement: "I don't think anyone's budgets can go up dramatically unless their sales go up dramatically. We've got to get a lot smarter." In further emphasizing the theme of unity, Clark said the forthcoming agency's assignment would range from "anthemic TV spots to social posts, in-store advertising and employee communications." She said the ultimate goal of the shared enterprise is a greater focus on the consumer. "There's such a huge conversation about McDonald's always," Clark said. "We want to determine trends before they happen and see what's right for McDonald's." Wahl addressed a follow-up question about the dated social media "war room" model from moderator and Fast Company editor Eric Alt by again emphasizing scale. "Someone interacts with or reaches out to us once every two seconds," she said. "We are able to respond once every 10 seconds." Wahl said she hopes to speed up that response time moving forward, but Clark implied quality is ultimately the defining factor when it comes to content strategy. "Brands need to remember that they are uninvited guests [on social]," she said. "McDonald's is not in the business of mediocre." Clark also indicated that the new unit's vision regarding its own internal processes played a significant role in Omnicom's winning pitch. "If you get the process right, it sets you free. You never have to talk about it again."